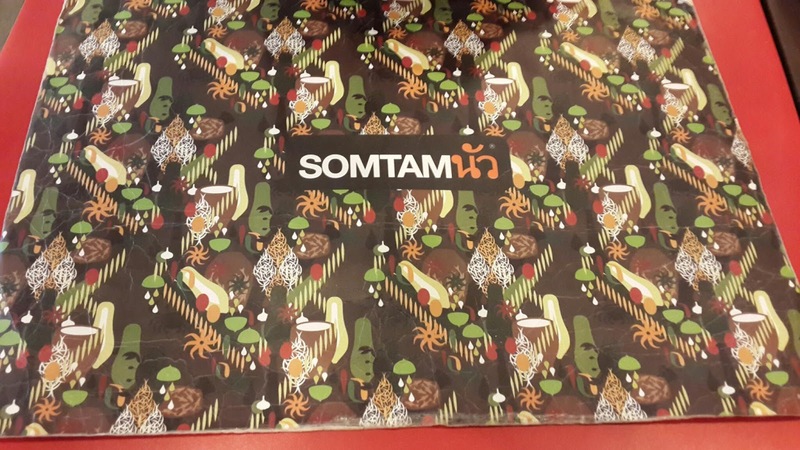 Had our second day brunch at Somtam Nua at Siam Square Soi 5. 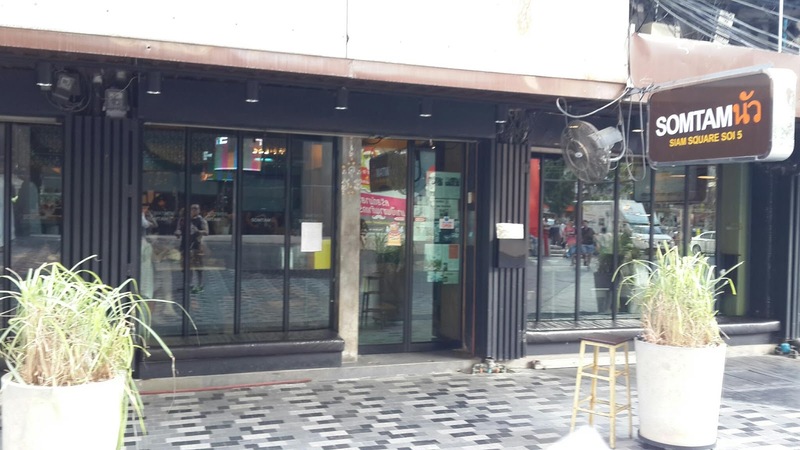 We came here with high expectation as many bloggers highly recommended this restaurant for their Fried Chicken and Somtam(Papaya Salad). There's no need to queue and plenty of empty tables when we were there. 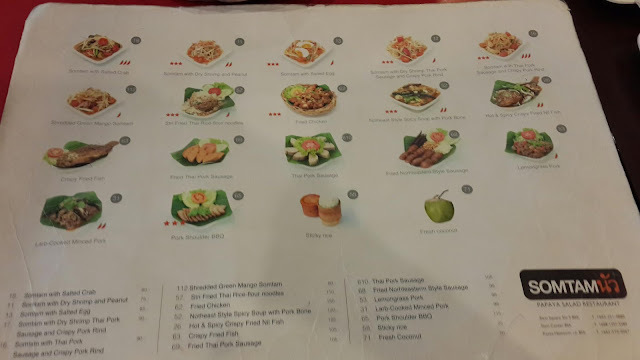 We pointed at the menu to make order and inquiry because some of their staffs can't understand English. 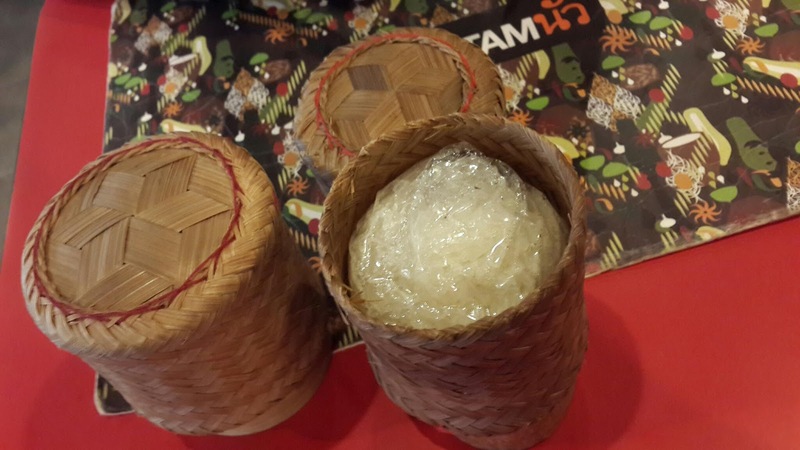 Sticky Rice (35 THB each). Ordinary. 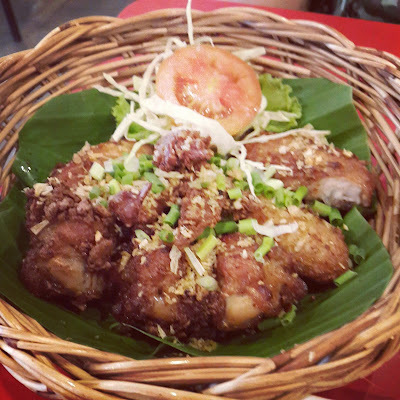 Fried Chicken (150 THB). Ordinary fried chicken wings topping with some fried chopped garlic and spring onions. 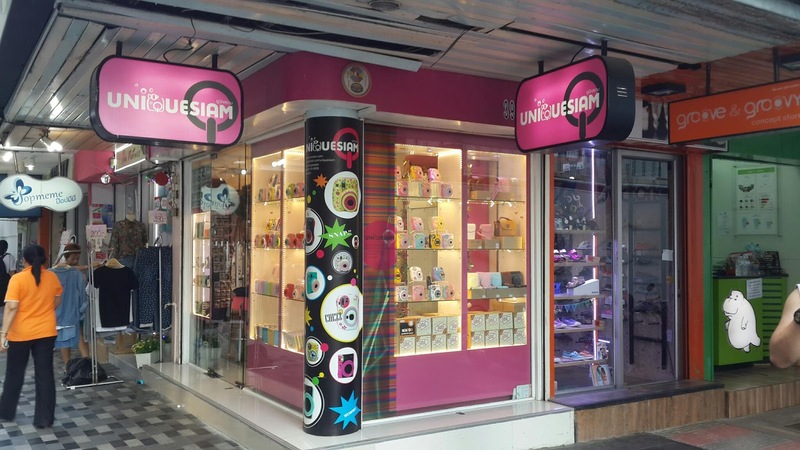 Most of the reviews and bloggers claimed that it's a must order when pay visit here. When our first bite on it, we were totally disappointed, perhaps our expectation were too high. Indeed the fried chicken was juicy and crispy, but it taste ordinary, KL night market fried chicken can be even better than this. Totally overrated and overpriced. I will say this dish can try once if you never been here before. Somtam with Salted Crab (80 THB). Taste okay. Mild, sweet and sour. Salted crab was fresh. Personally I think that Platinum Mall food court one taste better than this. Second disappointment that hit us. 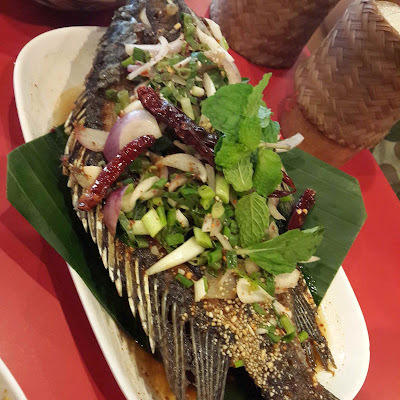 Crispy Fried Fish (105 THB). Finally, this dish delighted us! 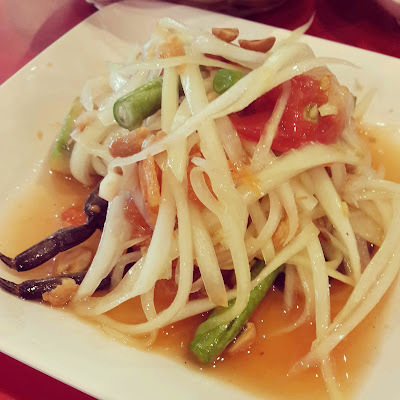 Well fried crispy fish, fresh and topping with sweet and sour Thai sauce, peanuts, onions etc. Flavorful and taste authentically local Thai food. Thumb up. 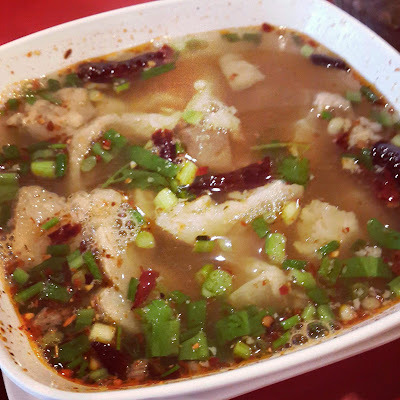 Notheast Style Spicy Soup with Pork Bone (120 THB). Sour, spicy yet the soup taste clear. Generous amount of pork inside the soup. Nice! 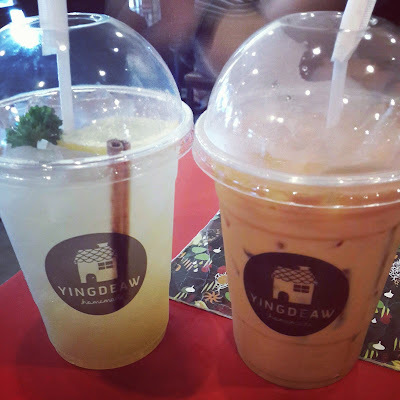 Honey Lemon and Thai Milk Tea (75 THB each). Not too sweet, everything goes well. I like. Overall, it's an ordinary meal which costed us around 950 THB. Perhaps as some local said, when the restaurant became famous and the quality dropped or flavour different from the starting point. Somtam Nua is locate directly opposite Siam Paragon, it's in Siam Square area. If you take BTS, exit at Siam Station. U would see Somtam Nua sign board when you look at the left side/opposite side of Siam Paragon at platform. 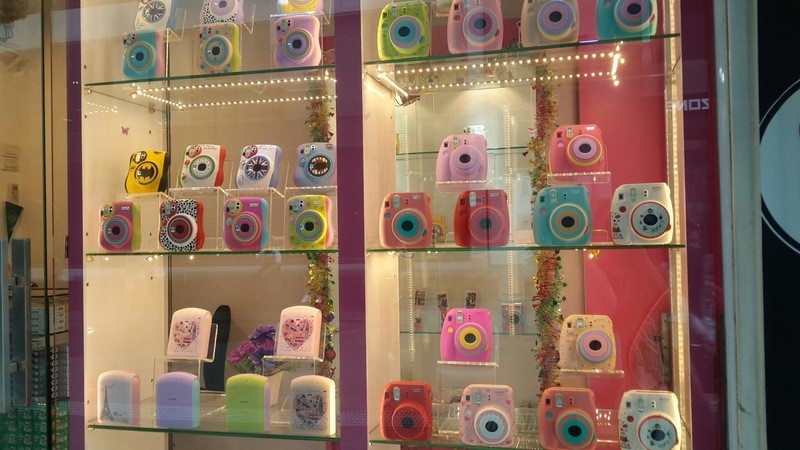 If you worry can't find here, that's a branch in Siam Center, 4th floor. 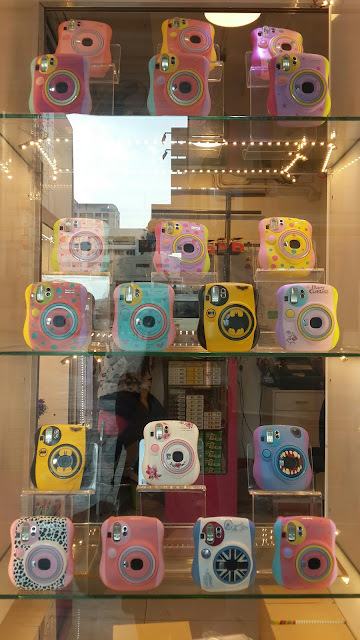 Walked around to explore Siam Square, found this shop that specialist selling Fujifilm Instax Camera in a variety of designs!